As I researched graduate programs, I kept encountering the same lament--graduate programs do not prepare you to run your own business. If your sole intention in the mental health field is to go to work at an agency, then you should be fine, but woe be unto those who seek to run a private practice someday. I am pretty certain I would like to have my own private practice. My work experiences thus far have made it very clear to me that it is much better to be in control of your own career than to be at the mercy of organizational forces. I fervently hope to work as part of a treatment team for my clients, but I want to set my own hours, run my own office, and have the freedom to advocate for my clients to the best of my clinical knowledge rather than be hamstrung by insurance-company executives seeking to improve the bottom line. 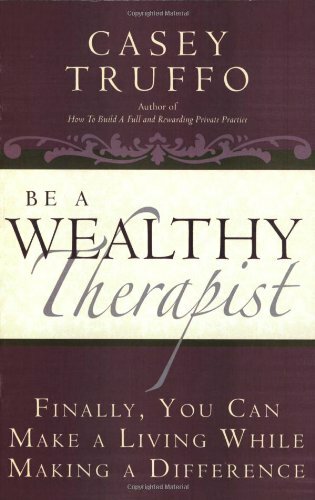 Therefore, I found myself much on the same page as Casey Truffo, author of Be a Wealthy Therapist: Finally, You Can Make a Living While Making a Difference. 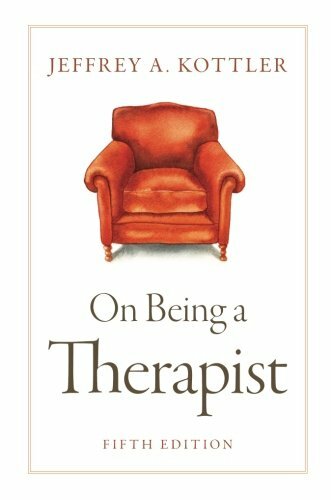 Truffo's goal is to convince therapists interested in private practice that they need not adhere to the therapist-as-ascetic paradigm. 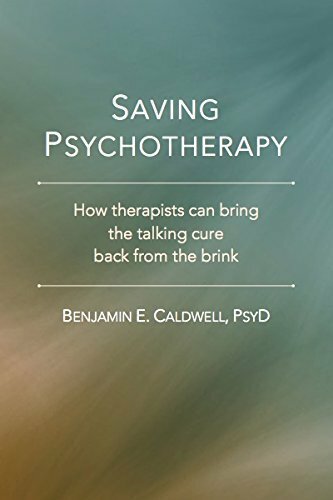 Rather, she argues that what therapists offer is a valuable service (on par, she argues, with doctors), and that we need to face whatever is blocking us from owning that reality and honoring our worth as service providers. What really resonated with me about Truffo's message was that "wealthy" doesn't necessarily mean "a boatload of cash." It means developing the career and lifestyle you want, doing something that is meaningful and of service to humanity. The first couple sections of her book address myths about running a private practice and the common "blocks" she has encountered in private-practice coaching clients, such as the fear of success and the idea that money and/or marketing is somehow inherently "bad." Then she segues into a couple of perspective-shifting frameworks ("Be Wealthy: The 7 Point Overview" and "The Great Marketing Reframe") before addressing what she terms the "four marketing personalities." 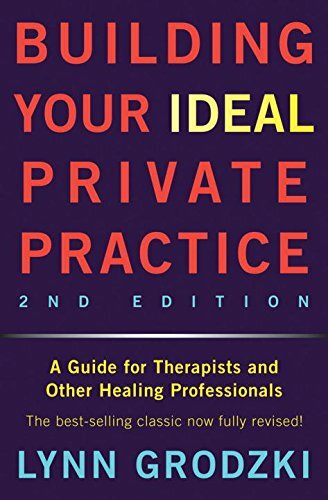 What I most appreciated about this part of the book was the idea that no matter your personality type or your idiosyncrasies regarding marketing, there exist multiple ways for you to have the private practice you want. I really liked how empowering her message is--even if you desperately hate typical "marketing," that's no reason to give up on your dreams. Finally, there are some exercises I really look forward to implementing a few years from now when I'm looking into launching my own private practice: "Your Marketing Plan Checklist" and "17 Things You Can Do to Grow Your Practice." I really wish that there was even one class on business strategies in our graduate programs that would prep us for launching into the world of private practice, but until that day comes, at least there are resources like Casey Truffo. 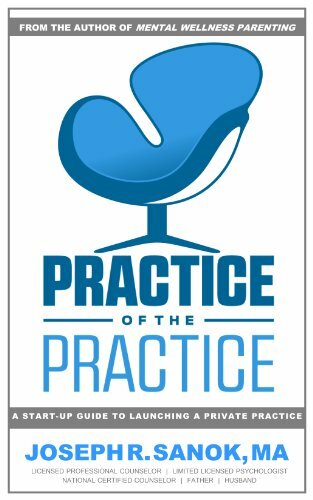 While this book isn't going to be the only manual you'll need for setting up a private practice, it just might be an invaluable guide to getting you into the right business and marketing mindset.